Hairless guinea pigs are called “skinny pigs.” (Photo: Eric Isselee/Shutterstock)Guinea pigs have been a favored pet for a while. There’s even a National Adopt A Rescued Guinea Pig month to help find homes for guinea pigs so people will avoid buying the from a store. And yes, there are even Internet-famous guinea pigs.PHOTOS TO LOVE: 15 fascinating facts about ottersNow entering the scene is a hairless version, affectionately called a skinny pig, a strain that has only been around for a few decades.These hairless guinea pigs have become increasingly popular, with prices reaching upward of $150. 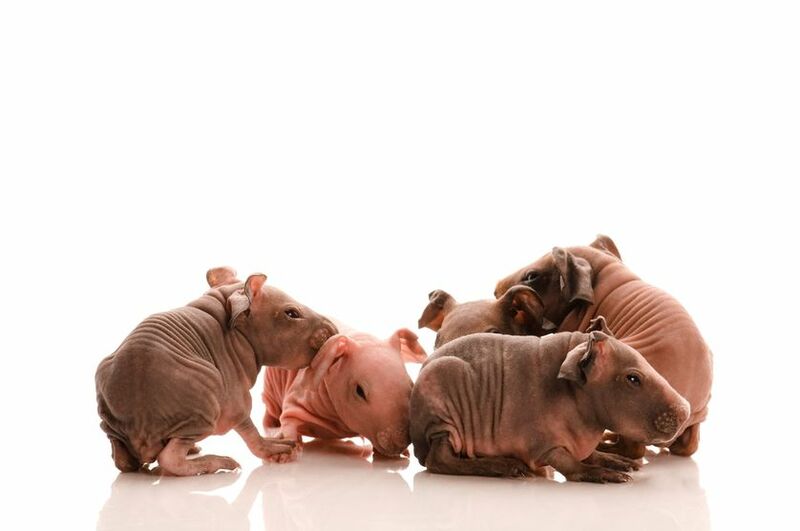 They have a surprising history and a unique set of needs.Hairless guinea pigs are a hair smaller than their furry counterparts. (Photo: Rosa Jay/Shutterstock)There’s a bit of controversy about the introduction of hairless guinea pigs; they didn’t exactly have a natural start. While guinea pigs are native to Peru and were domesticated around 5000 BC, hairless guinea pigs originated in a laboratory around 40 years ago. In 1978, a lab in Montreal bred a colony of guinea pigs in which a genetic mutation was identified. 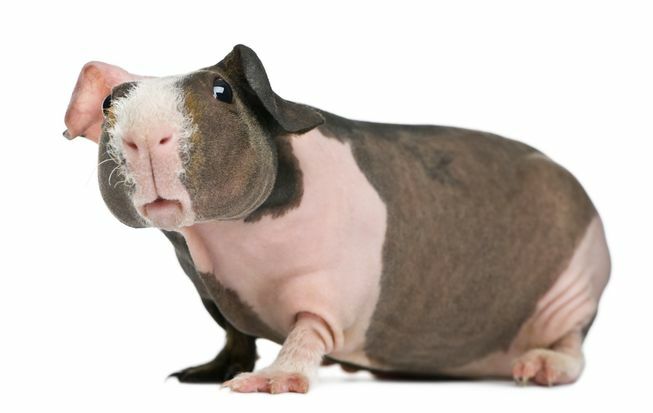 The spontaneous genetic mutation resulted in hairlessness, and the researchers pursued the strain.The hairless guinea pigs were originally inbred to keep the strain going, with new haired guinea pigs added into the breeding program later on. This meant that the first generations of hairless guinea pigs were prone to illnesses and immune problems.However, with about four decades of careful breeding by various breeders, the strain has developed into heartier, healthier guinea pigs.Still, their origins are from lab animals used for testing, and many people concerned with animal welfare — as well as the abundance of animals bred specifically for trends in the pet industry — have expressed concerns about hairless guinea pigs becoming so popular.Skinny pigs are a breed that originated as a cross between haired guinea pigs and a hairless strain started in a laboratory. 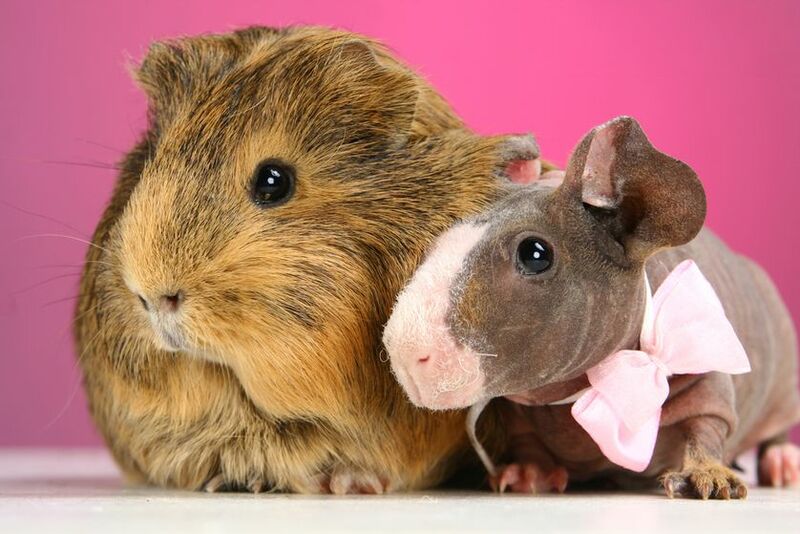 (Photo: joannawnuk/Shutterstock)Though today’s hairless guinea pigs are healthier now, they still require special care. Because they lack a fur coat, they get cold easily so they must be an indoor pet. If they are permitted some outdoor time on warm days, they need sunscreen to protect their sensitive skin.They also eat more than regular guinea pigs. This is because they have a higher metabolism as their bodies work harder to stay warm.A fur coat usually protects an animal’s skin from injury, but the hairless guinea pigs lack this soft armor. So, owners need to be extra careful to protect their pets from harm. Despite being a higher maintenance pet than traditional guinea pigs, hairless guinea pigs have some benefits. Because they lack hair, they are ideal for animal lovers with allergies. For those folks who want a pet but can’t be around pet hair, these gregarious, social animals are a great option.They even come in different skin pigmentation that offer variations in color, including chocolate, cinnamon, silver, golden, white and more.This skinny pig has a koala kind of look about her. 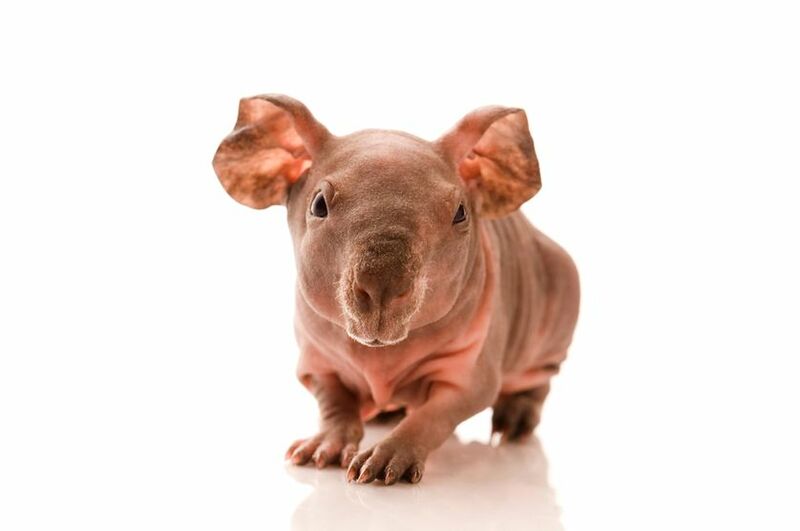 (Photo: joannawnuk/Shutterstock)There are two breeds of hairless guinea pig: the skinny pig, which originated in a lab, and the Baldwin, which according to Online Guinea Pig Care, “were originally a spontaneous mutation from White Crested cavies belonging to a Californian cavy owner who was breeding them for show.”The differences between the two breeds are in how they have hair, and when.